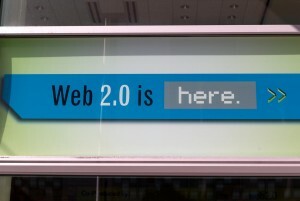 In Web 2.0 Storytelling: Emergence of a new genre, Bryan Alexander and Alan Levine (2008) point out some key features of Web 2.0 and how it has transformed the internet. Web 2.0 is providing a growing number of educational opportunities, such as Web Storytelling 2.0, and has the ability to help students learn in ways that are collaborative, community based, engaging, and relevant. Schools have been slow to adopt widely popular forms of communication and expression (Bolter, 2001). 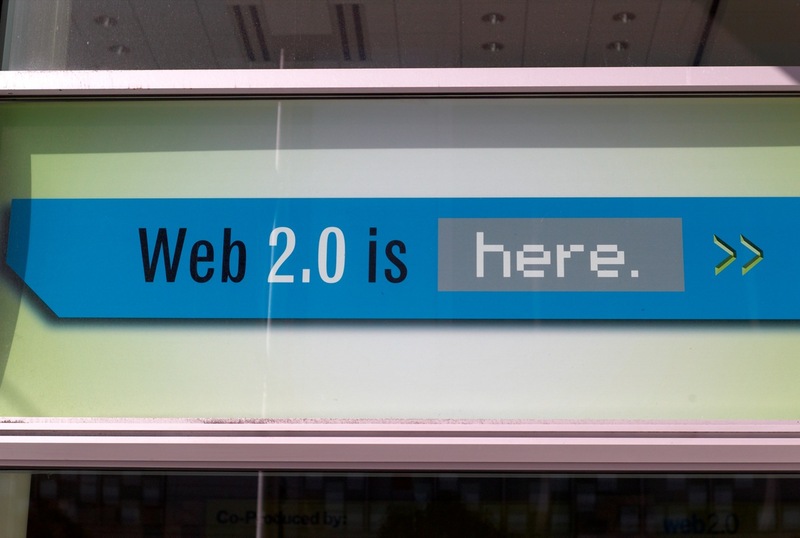 A predominant form is Web 2.0, which “refers to the social use of the Web which allow people to collaborate, to get actively involved in creating content, to generate knowledge and to share information online” (Grosseck, 2009, p.478). 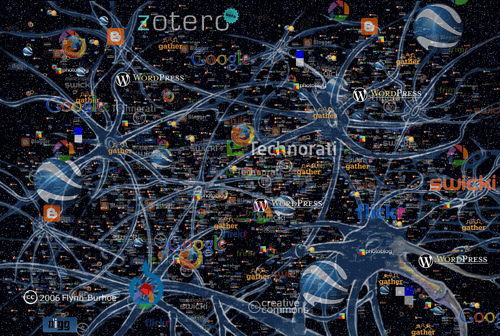 Web 2.0 is distinct because it joins microcontent with social media (Alexander & Levine, 2008). It depends upon openness, an ‘ethos of sharing,’ and the wisdom of its users (Alexander, 2006). 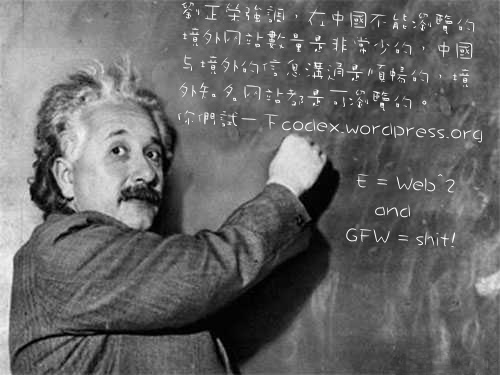 A key to its rapid growth is a long list of social software, such as Blogpost, Twitter, Facebook, Flickr, Feedly, Wikipedia, and Delicious. The simplicity of these tools has meant that people are increasingly connecting, discussing, and meeting with others, as well as contributing, editing, and reading content more frequently. Another large influence on Web 2.0 has been the evolution of the cell phone, which now provides instant access to free web based software and online storage, contains a digital camera, and is ideally suited for microcontent. Storytelling tends to follow a fixed linear, often chronological, format. The evolution of social media has resulted in a new genre, Web 2.0 storytelling, which is “open-ended, branching, hyperlinked, cross-media, participatory, exploratory, and unpredictable” (Alexander & Levine, 2008, p.40). Alexander and Levine refer to Web 2.0 storytelling as “the telling of stories using Web 2.0 tools, technologies, and strategies” (Alexander & Levine, 2008, p.41). With Web 2.0 storytelling, authors can use many forms (such as YouTube and hypertext) to provide readers with as much involvement and control as the authors see fit (Bolter, 2001). Examples where readers play a role in the narrative, such as through editing, posting, or adding a video, are Postmodern Sass, The Million Penguins wiki novel project, and the photo story of I Found a Digital Camera in the Woods (Alexander & Levine, 2008). Story writing is also being transformed, with redesigns and remixes appearing as movies, podcasts, animations, and collages. One of the biggest impacts of Web 2.0 on writing has been from wikis, where stories can compiled asynchronously by a variety of authors. 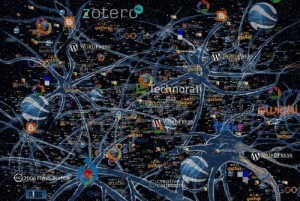 We may also be getting a glimpse into the future with the emergence of a highly developed method of Web 2.0 storytelling known as Alternate Reality Gaming (Alexander & Levine, 2008). There are many obvious advantages to incorporating Web 2.0 into the classroom, such as increased flexibility, resources, sharing and independence (Grosseck, 2009). For example, student storytelling can go from a solitary and linear procedure to a collaborative process that produces multilinear stories. Web 2.0 tools (wikis, Google Docs, etc. . .) allow for greater collaboration through asynchronous writing, editing, and discussions, and enable students to produce a superior quality of work. The adoption of Web 2.0 in the classroom will help teachers “foster collaborative work not only among their own students, but with colleagues, students, and community members from around the world” (Grosseck, 2009, p.482). For all its benefits, there are several issues that teachers must be aware of regarding Web 2.0 in education. Educators need to discern what is suitable for students from the overwhelming amount of existing technology (Grosseck, 2009), and be mindful that the medium is not neutral. Teachers need to learn how to implement Web 2.0 in ways that improve learning, rather than contribute to the decay of scientific thought and “the erosion of creativity” (Grosseck, 2009, p.481). They need to be prepared for the possibility that software and media can disappear without notice (Levine, 2007, p.2), and the reality that new approaches to assessment need to be taken. Students should be taught how to properly navigate and communicate in Web 2.0. One reason is that the line between real and fiction can become blurred with Web 2.0 storytelling. As a result, students need to learn about how to verify, borrow from, and cite sources. The ease with which content can be used, mixed, and shared makes it “easier for average citizens to commit copyright violations” (Alexander, 2006, p.42). The most important consideration is that teachers should be able to protect students and their privacy. Students need an environment where they feel safe and are able to express opinions and make mistakes without having them archived. Therefore, there are times when using a closed environment will be the most appropriate medium for a class. With these issues in mind, my goal is to integrate Web 2.0 into my high school Physics classroom as a way to further engage my students, as well as provide them with new meaningful ways to learn. Some examples of Web 2.0 storytelling that would apply to my classroom are creating stories of the atom with Animoto, recounting the life of a scientist with a wiki, writing journal blogs, and sharing photos of Physics principles through Flickr. I also plan to use social bookmarks to enrich the curriculum as well as blogs and microblogs to encourage discussion and relay content in a more conversational manner. Although it is difficult to predict how education will evolve, it appears that Web 2.0 will play in important role (Alexander & Levine, 2008). Rather than ignore the involvement of our students in social mediums, Alexander and Levin encourage educators to give new forms such as “Web 2.0 storytelling a try and see what happens” (Alexander & Levine, 2008, p.56). This will not come without its challenges, however, the payoffs will hopefully be that students become more engaged, find the content more relevant, learn new skills, and access higher order thinking. 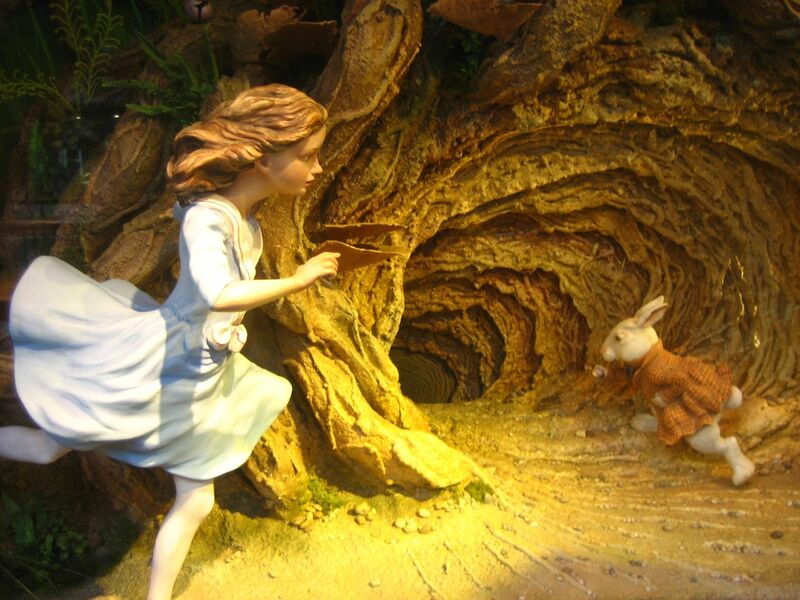 Introducing Web 2.0 into my classroom requires a leap of faith, but the time has come for me to jump down the rabbit hole and embrace the trip. Bolter, Jay David. (2001). Writing space: Computers, hypertext, and the remediation of print [2nd edition]. Mahwah, NJ: Lawrence Erlbaum. This entry was posted in Commentary 3. Bookmark the permalink. It is certainly difficult to predict how education will evolve. The most common statement from educational technologists visionaries is that course instructors would be replaced by designers and facilitators. I think students learn more doing or watching a web 2.0 storytelling than a traditional lecture class. Enjoy your time to jump down the rabbit hole and embrace the trip. This was really informative. You really made me stop and think when you wrote about the “…need to be prepared for the possibility that software and media can disappear without notice…”. I started wondering how aspects of my life would change if technologies that I use on a daily basis suddenly disappeared. It was terrifying and fascinating at the same time.